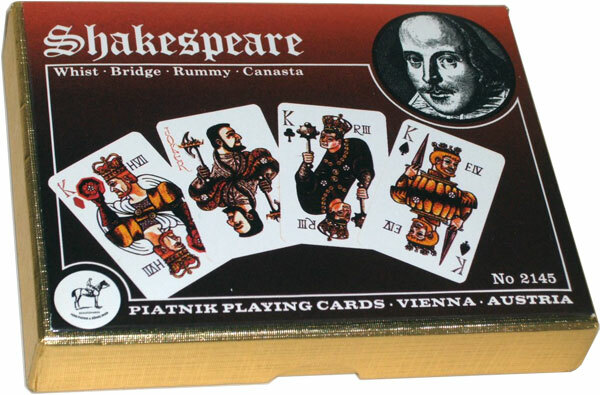 The Shakespeare Cards have been produced by Piatnik as one of their suave dual-decks since 1967, confusingly under the numbers No 2145 and No 2445, sometimes with both code numbers being used within the same package! The cards were designed by the British actor Donald Burton based on his experiences in the historical series of plays known as “the Wars of the Roses” and performed by the Royal Shakespeare Company. 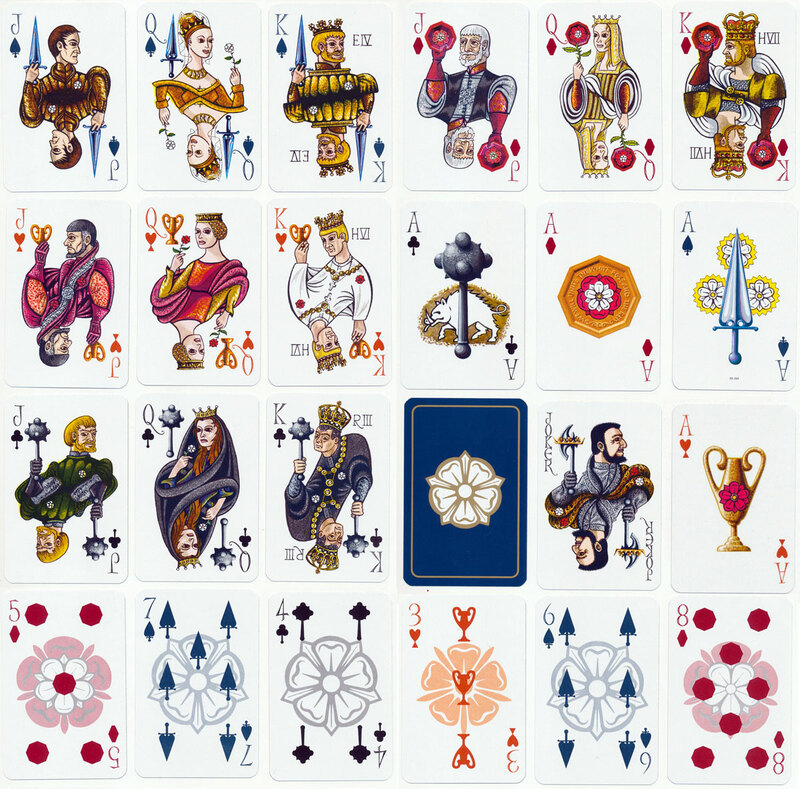 The deck uses the suits of Swords, Batons, Cups and Coins designed in such a way as to be recognisable by their British equivalents of Spades, Clubs, Hearts and Diamonds respectively. Each court card represents a Shakespearean interpretation of a character from English history, such as the much misaligned Richard III who true to Shakespearean mythology is depicted as a tyrannical, and evil ‘crookback’. The package includes a dual-language booklet in German and English describing the deck, suits and characters depicted on the court cards. A Royal Family Tree is also supplied charting the genealogy from Edward III through to Henry VIII. Above: Images and review notes courtesy Matt Probert.